Greta Garbo is arguably one of Hollywood’s greatest stars. A legendary actress who combined remarkable beauty with a modern spirit and irresistible allure. 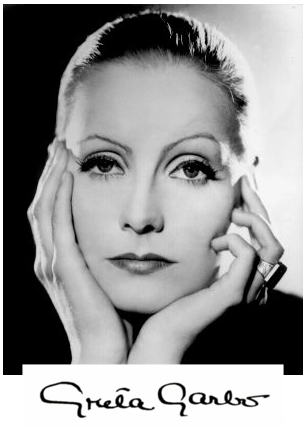 Garbo remains one of the most fascinating women in history. Born in Stockholm, Sweden, she was the youngest of three children of a working class family. In 1920, she took a job as a salesperson at the leading Swedish department store, PUB, a job which led to her appearance in two advertising shorts for the store. This WAS FOLLOWED BY her first film role in the comedy Peter the Tramp (1922). Later that year she won a full scholarship to the Academy of the Royal Dramatic Theatre, the training ground for nearly every Swedish actor. In 1923 Garbo left the Academy to star in Mauritz Stiller's classic Gosta Berling's Saga, which premiered in 1924. The film was a critical and commercial success. Garbo's appearance in this film, and in the even more renown Joseph Pabst film Street of Sorrow in 1925, solidified her position as one of the premier actresses in Europe. Louis B. Mayer, the president of MGM, signed Garbo to a contract after viewing Gosta Berling's Saga, and she moved to California in late 1925. Her first American film was The Torrent, which premiered in March of 1926. The Torrent, The Temptress and Flesh and the Devil accounted for 13% of the revenue generated by all MGM films produced during the 1925/26 production year. Garbo was now an international star. Given this success, MGM tried to renegotiate its original three year contract with Greta Garbo. A protracted six month contract dispute was resolved in June, 1927. In the next two years Garbo made seven more silent films, and accounted for 14% of MGM's profit from those two production years. 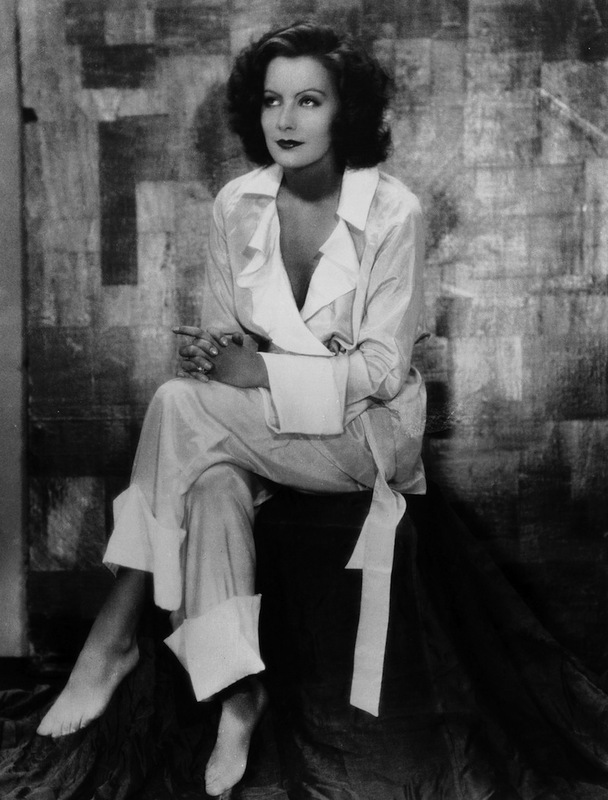 In her film roles and personal life, Garbo demonstrated the new potential for women in the modern world. Many of her films were controversial at the time of their release. Greta Garbo's first talkies were English and German versions of an adaptation of Eugene O'Neill's Anna Christie. Released in 1930, Anna Christie marked Garbo's successful transition from the silent screen to the new world of sound pictures, a transition few of the silent stars were able to make SUCCESSFULLY. She went on to make thirteen more films for MGM. In the movies, Camille (1937) and Ninotchka (1939), Garbo delivers two of her most magnificent performances. She received a special Oscar for her work in 1954. During the Second World War Greta Garbo took a break from the movie business. Although she signed a contract for the production of a film in 1947, and considered projects well into the fifties, Garbo never made another film. In addition to her film legacy, Garbo sat for a number of stunning portrait photographs by a wide range of photographers, including; Edward Steichen, Ruth Harriet Louise, Clarence Sinclair Bull, Nikolas Muray, Arnold Genthe and Cecil Beaton. After the war, Garbo moved to New York, where she lived until her death in 1990. Beyond her impact on the world of film, her status as a clearly modern woman captivated the world. She set styles in fashion and beauty for decades. She was the first woman to be viewed as both assertive and feminine.